The interaction of ultrashort laser pulses with plasmonic nanostructures enables the extreme, unprecedented localization of electromagnetic fields in both space and time. Ultrashort plasmonic fields can be bound to the closest nanoscale vicinity of nanoparticles and thin films and this way, new aspects of fundamental photoemission and other electron phenomena can be demonstrated. Here, we will review these phenomena including strong-field nanoplasmonic photoemission and keV electron acceleration on the nanoscale. 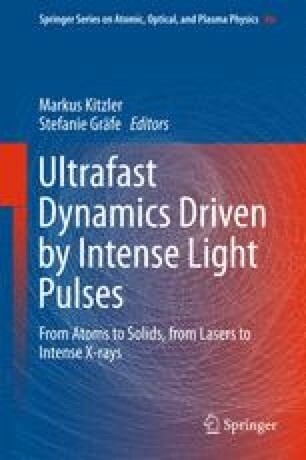 The author acknowledges support from the “Lendület” program of the Hungarian Academy of Sciences, the National R&D Office (OTKA project 109257) and the Partner Group Program of the Max Planck Society.